Applied a flat coat. I tried using Vallejo Satin varnish, as i do have a bunch of it, but it kept clogging the airbrush. So i cleaned the AB and used the Testors Flat. I used Vallejo Acrylics for highlighting/ dry brudhing. You can see it in my poorly lit pictures, but i think i like oils better. 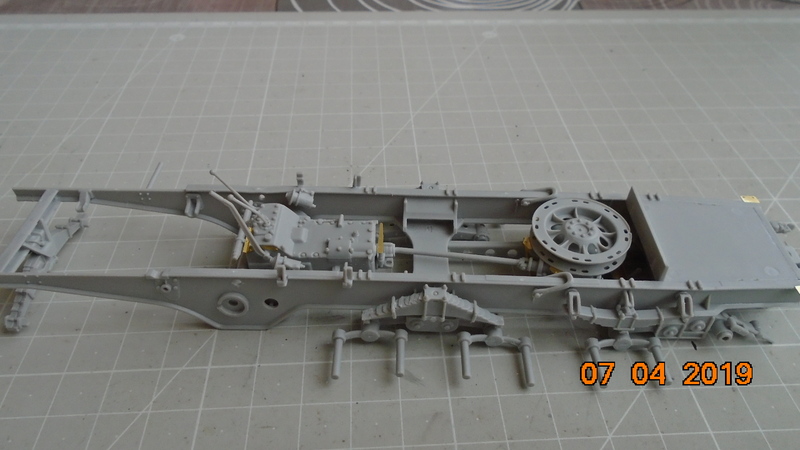 In the campaign I will participate with the model of Sd.Kfz.7 Late Version. These are the starting photo. I have that kit, and will be watching your build with interest. 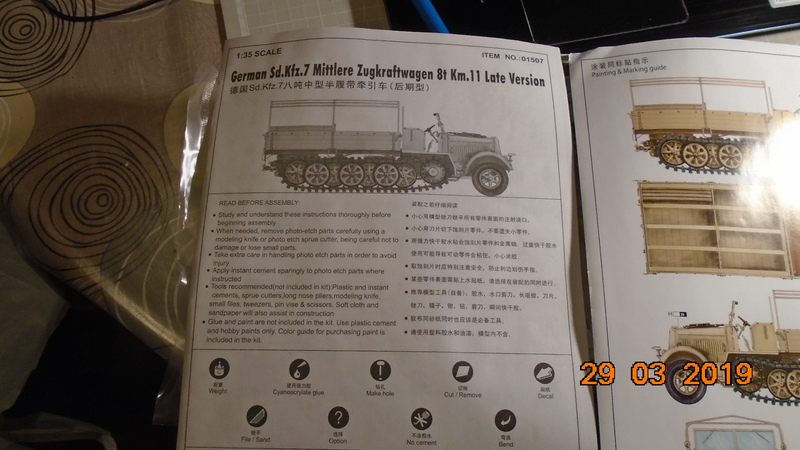 Here is the startup and progress pics of my entry, German Entwicklungsfahrzeug E25. 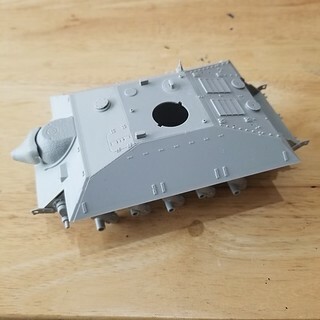 Coming in with something I've been wanting to build for awhile, from way back when I was still new to World Of Tanks. 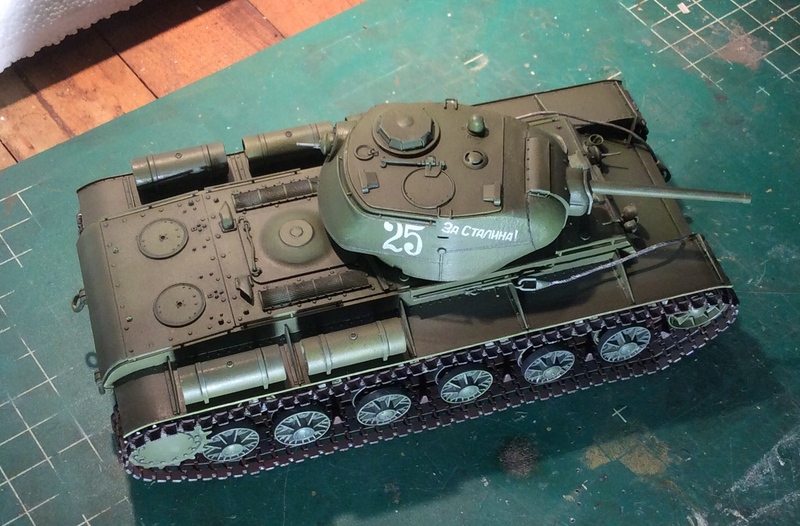 The mighty KV-3. 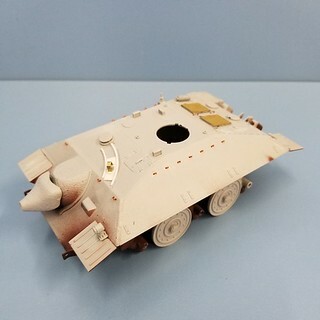 If we can get another WOT campaign again sometime, I'd like to build another one with the Dt-25. 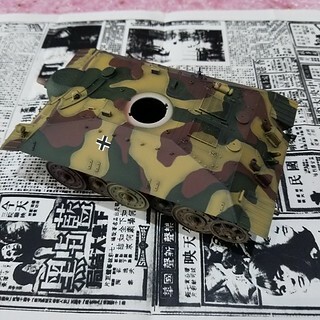 Got the Trumpeter KV-3, I've been slowly been working on it for awhile now, but haven't posted it yet. 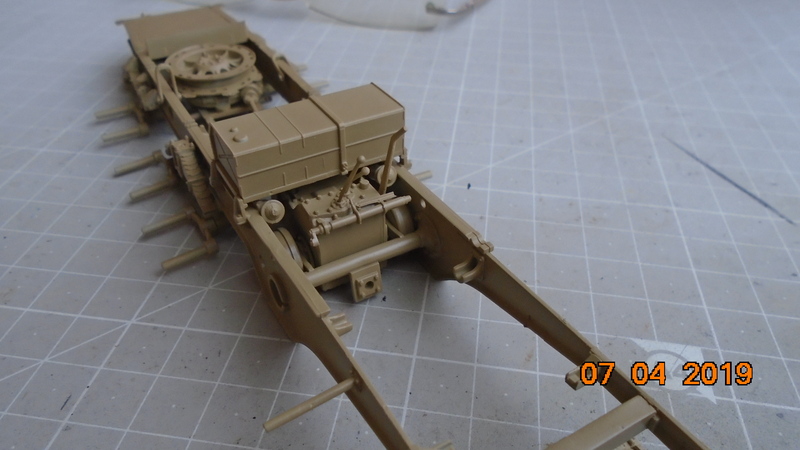 My first progress on Trumpeter's kit 01507: Sd.Kfz.7 Late. 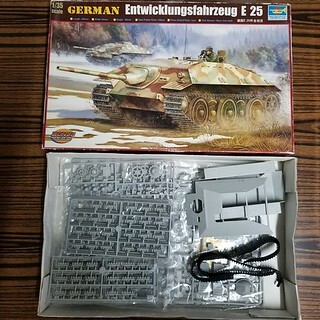 I definitely do not like the kit. 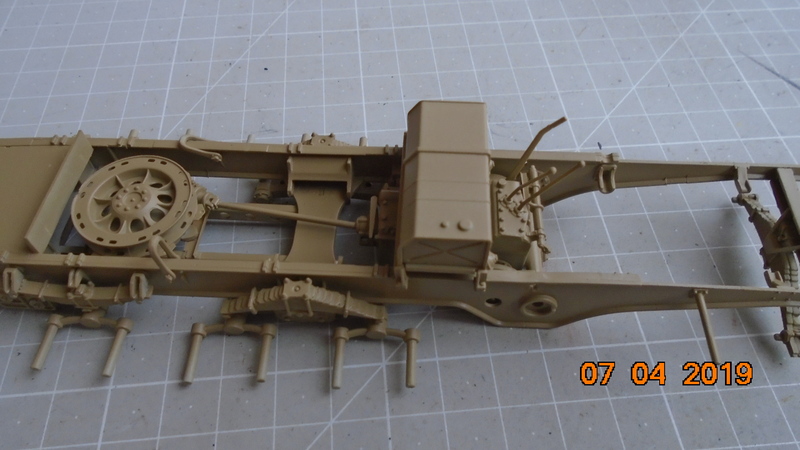 The latest models of Trumpeter's towed tractor (No.01583 and No.09538) are of much better quality. 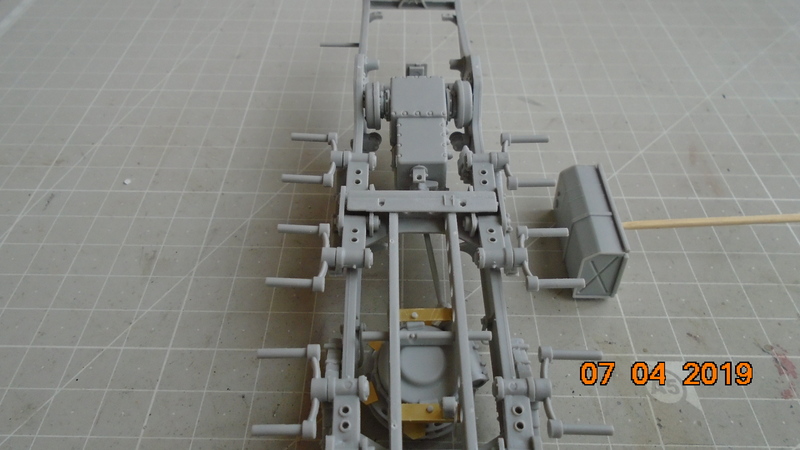 Those Trumpeter KV tanks are really simple kits to assemble. 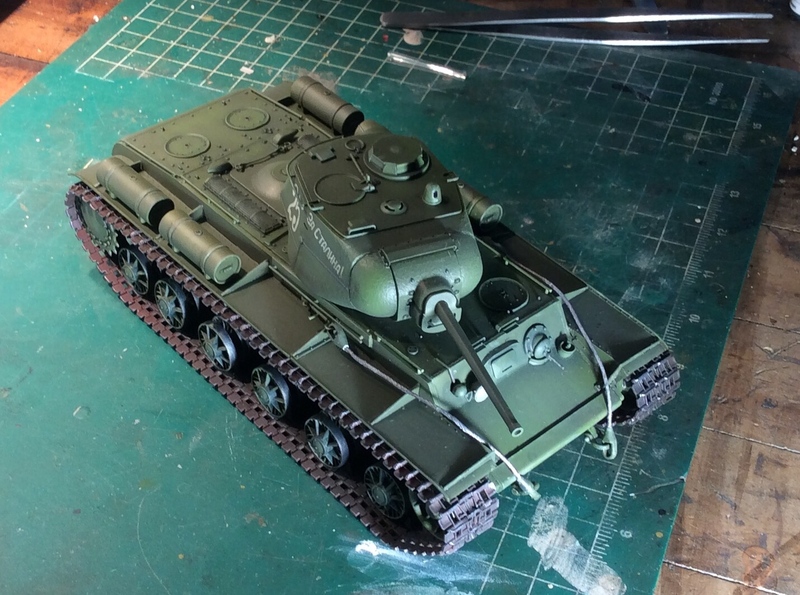 I have finish the KV-1 and KV-8 and they were one of the most enjoyable builds I have been involved with. 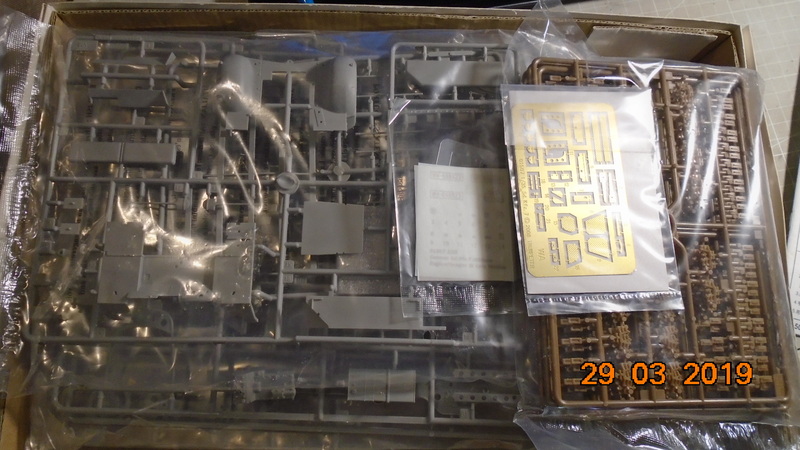 I also have the KV-3 in my stash so I will be most interested as to how it turns out. 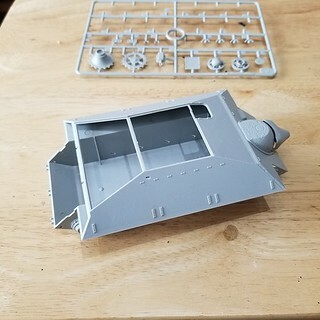 Sorry to hear about the quality of kit, but it sure does have a lot of detail for the under belly. Interesting build, reminds me of a turtle. Hallo, Mark! 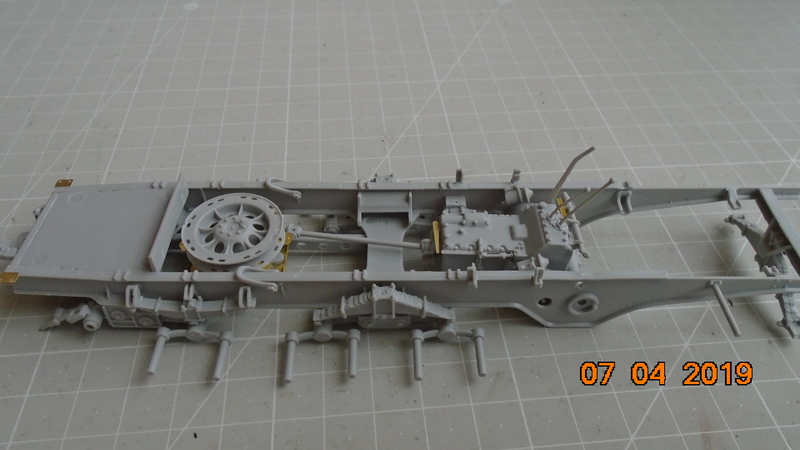 Wonderful idea to make a model of Sd.Kfz.7 Late production, but ...sprue casting leaves much to be desired. Just wiped my future buy on evil bay. Thanks however for the quality type Noº. Will take a look at them. Going to join this campaign with a towed Big Gun. 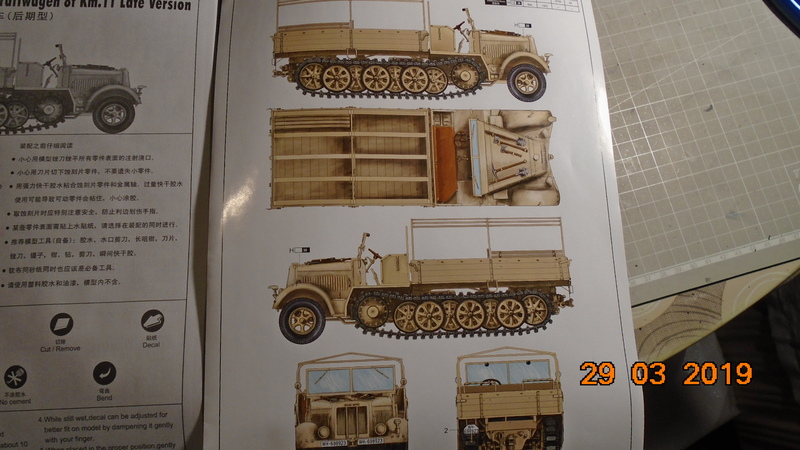 Will be an easy build, all covered for transport. Introduction and pictures will follow ASAP. I really like the camo. 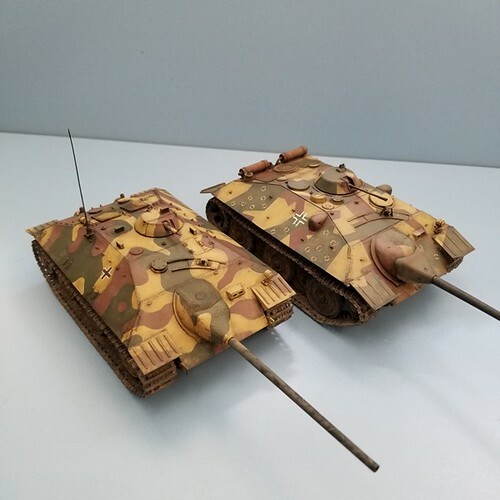 Did you use Panzer Putty? 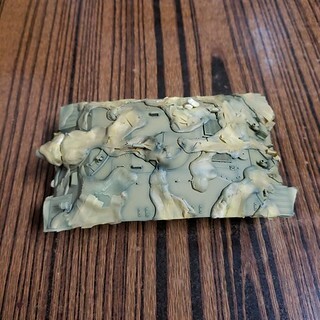 Hello Mark, I use blu tack to assist in airbrush the camouflage, it's not reusable after painting but it works fine. I have blu-tak I have been recycling for quite awhile, but I've not used it for large-scale masking like that. 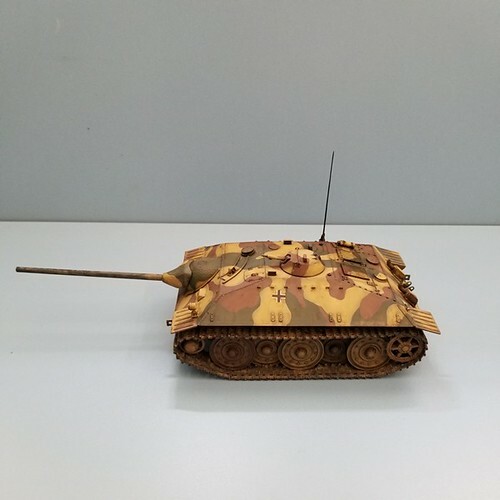 I used Panzer Putty once and found that it left an oily residue in the acrylic paint. Yours looks great. I like the weathering you have done. Congrats! Can you up.oad some better oics? 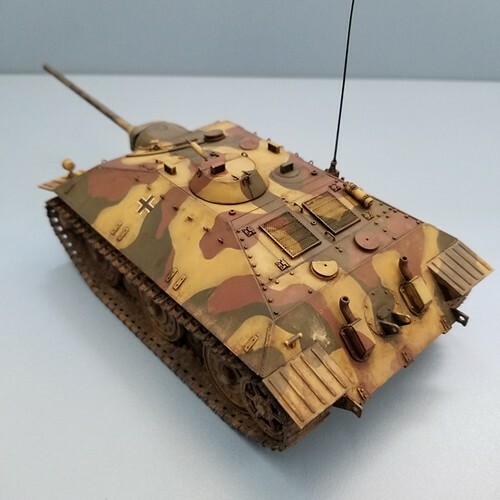 This kit is on my wishlist and would like to see yours as reference before deciding the purchase. 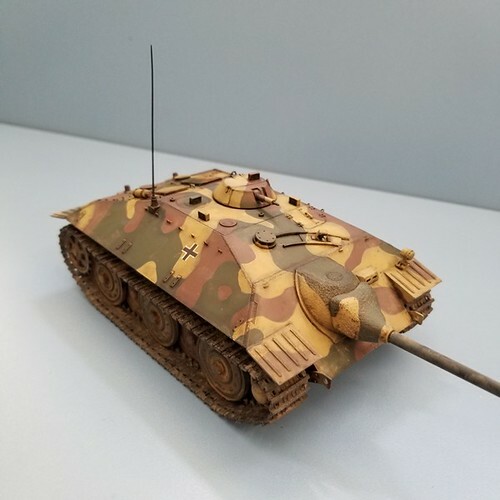 My dad made me a KV1/85 in the mid 70’s from a Soviet kit (probably the same moulding like the ones sold now under Eastern Express brand and I have some nice memories. Would be a memorial build but this time a better kit.